Bruschetta, from the Italian “bruscare,” literally translates to “roast over coals,” with grilled referring to the bread, not the toppings. 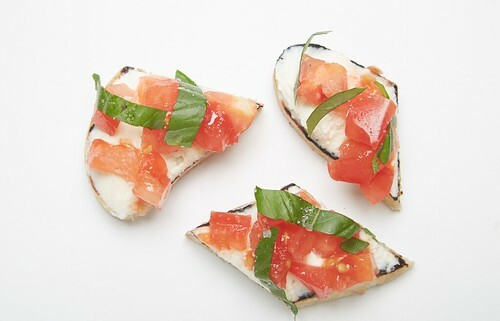 For bruschetta, rather large slices of bread are grilled, rubbed with garlic, then drizzled with olive oil. They are usually topped with tomatoes and basil, though other toppings from meats to vegetables can be used. Crostini translates to “little toasts” and are thinner, smaller slices of bread (usually from a baguette) that are always toasted then piled with various toppings, such as vegetables, savory spreads, and cheeses. 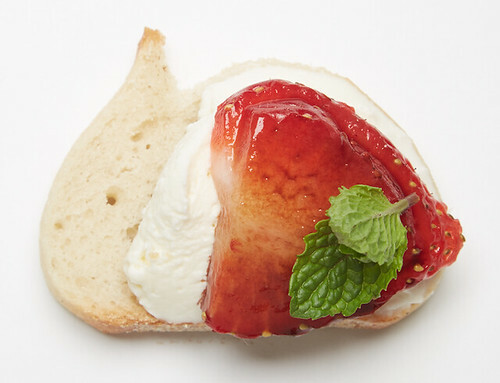 Now that you know the difference, check out Ken’s go-to sweet and savory bruschetta and crostini recipes that will definitely leave your guests asking for the recipe. The Basics: Start with 1/4″ slices of grilled or toasted European bread or rosemary loaf. Once toasted or grilled, add a generous drizzle of extra-virgin olive oil. 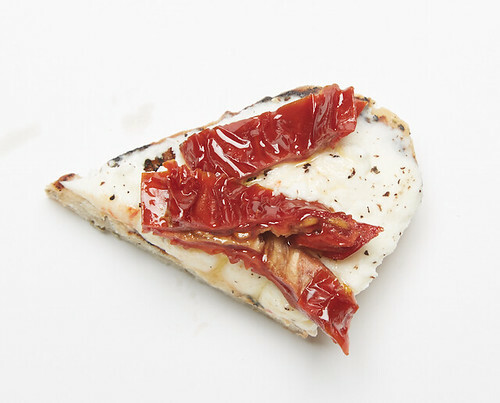 Add: Lioni ricotta, sliced sun-dried tomatoes (rehydrated), and grind of black pepper. Add: Salvatore smoked ricotta, Italian grilled peppers, and chopped basil. 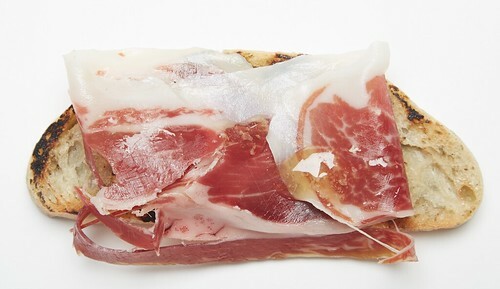 Add: Slice of Paleta Iberica (or your favorite dry cured ham), and drop of JUST honey. Add: Lioni ricotta, chopped tomatoes, basil, and a grind of salt. The Basics: Start with 1/4″ slices of grilled or toasted European bread. 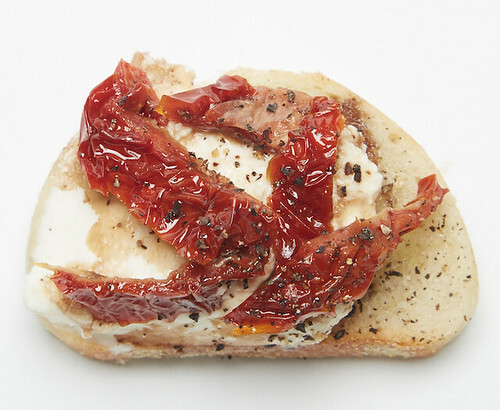 Add: Salvatore ricotta mixed with Dalmatia orange fig spread. Top with strawberries, blueberries, and a dash of fig balsamic. 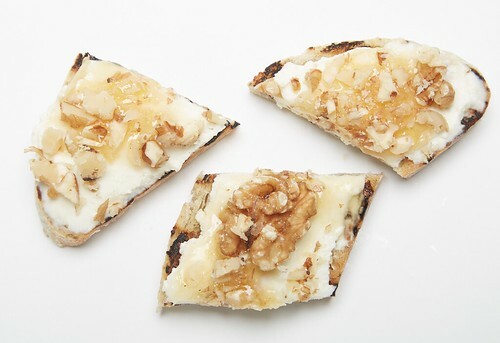 Add: Salvatore ricotta topped with chopped walnuts (or almonds) and Just FreshDirect honey. 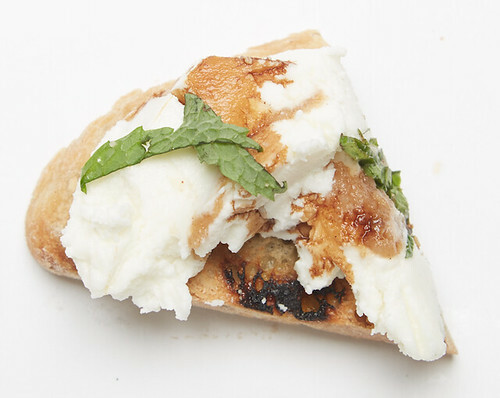 Add: Coach Farm fig goat cheese, drizzled fig balsamic, and garnish with mint leaves. 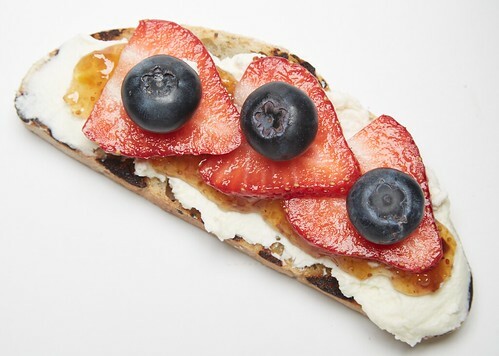 Add: Coach Farm pear goat cheese, blueberries, Just FreshDirect honey, and garnish with mint leaves. 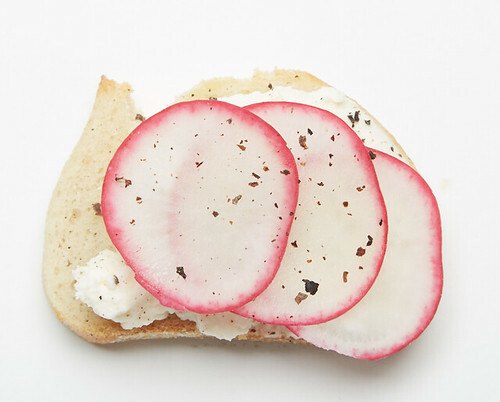 Add: Lioni ricotta, black pepper, and thinly sliced radish. 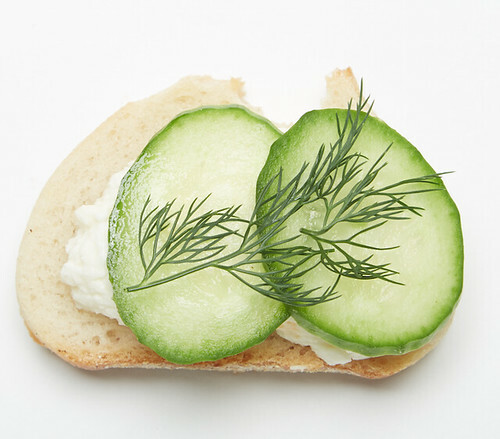 Add: Salvatore ricotta, thinly sliced cucumbers, and garnish with dill. Add: Salvatore ricotta, sun-dried tomatoes (rehydrated) tossed in Just FreshDirect EVOO, and a dash of Denigris 8-star balsamic vinegar. Add: Strawberries tossed in fig balsamic and garnished with mint. 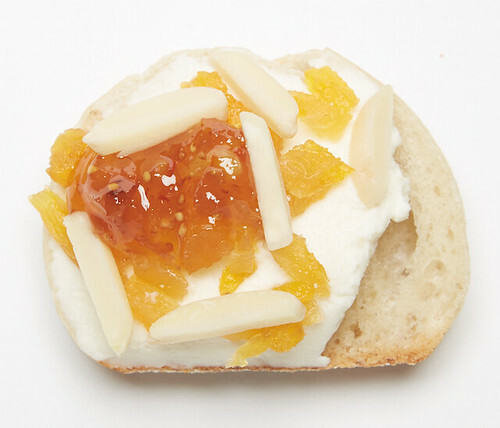 Add: Orange fig spread, fine diced apricots, and almonds.